COMPETITION: It’s Back! 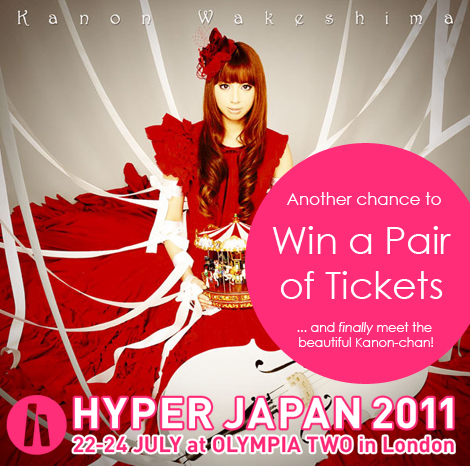 Another Chance for Free Hyper Japan Tickets! We had such a great response to our last Japan Centre competition for free tickets to Hyper Japan that we decided to run it again with another pair of tickets up for grabs for a lucky winner! We have a pair of tickets to see the event on Saturday 23rd July. Same rules as last time, simply head over to our facebook page and leave a comment under the post for this competition. We will choose a winner on Friday 15th July and send you a message over the weekend to let you know if you have won! Any questions about this Japan Centre competition, please ask in the comments on our facebook page. Midsummer Offers at Umai All This Month!